How Can I Be This Guys Lawyer? 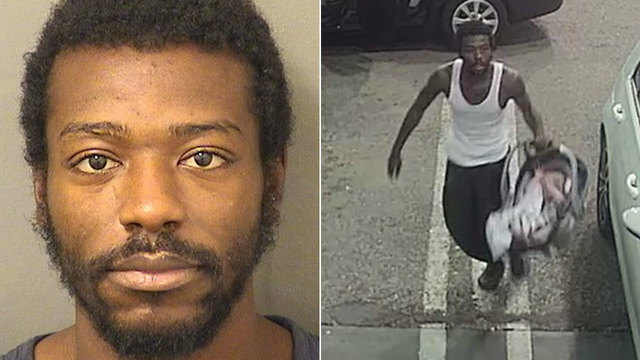 – Beer Talk Inc.
Marquise Hudson recently stole a vehicle in Florida with an infant inside, after realizing, he stopped at a gas station to drop the child off before returning to the stolen vehicle. This is my future client Marquise, and he is innocent of kidnapping! I mean grand theft auto is bad and he shouldn’t of done that, but that is all he is guilty of. I mean how can you accuse someone for kidnapping when they gave the kid to a gas station attendant to take care of, and then continued on with his grand theft auto. I don’t know much about grand theft auto, aside from what I’ve learned from the game, and what that game has taught me is that you just get in the car and go, you don’t inspect the car to make sure there is a very well behaved, sleeping infant in the back. I mean yeah he went 6 miles, but that’s really just a testament to how great this kid is to know that you should be very quiet on car rides. Also, has no-one asked the mother why she left her child unattended in a running car at a gas station? That is the craziest thing that stands out to me. It is 4 am in Miami, it’s not like it is incredibly hot or cold that you need to leave the car running! Not too mention she really shouldn’t be leaving the car running at the gas pump anyway! So as I move forward with the case for my future client, Mr. Hudson, I am also going to see that the court moves to take the custody rights away from the mother, as she also seems like she may not be the right fit. Way ahead of you! Once Mr. Hudson is finished with the time he will be serving for Grand Theft Auto, I move that he is granted custody of this child, he at least would have the decency to leave the child with a babysitter (gas station clerk) before continuing to break the law. That way the child isn’t considered an accessory to the crime!